Rosetta Jasper whisper of sweetness. 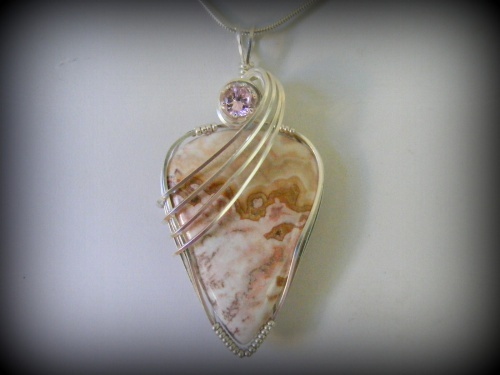 Piece has soft pinks and beiges and is accented wit a 1 carat faceted pink zircon. One of a kind, this piece measures 2 1/4" long from top of bail and 1" wide. Comes with a sterling silver snake chain.